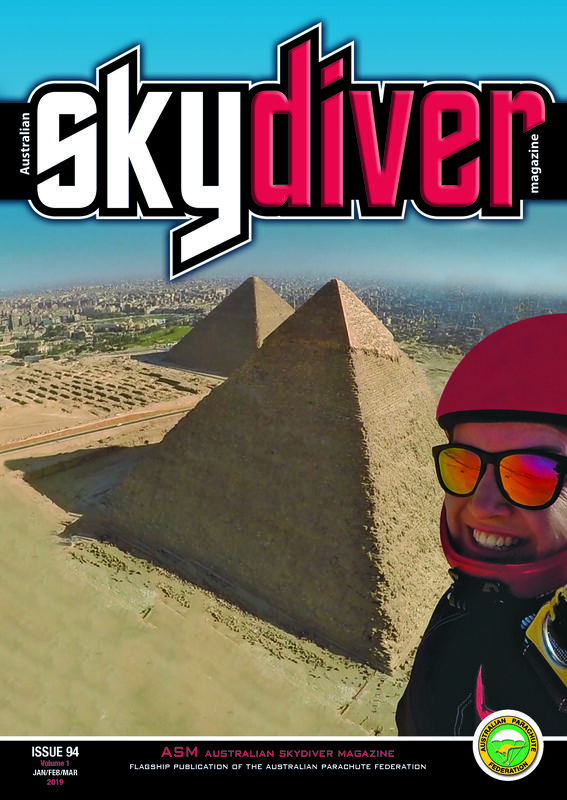 ASM is a vibrant magazine showcasing the fabulous sport of skydiving, it's spirited people, it's variety of disciplines, it's sensational events and the 70+ drop zones around Australia. All Members of the Australian Parachute Federation who hold a current Sporting Licence and 'A' Licence automatically receive the ASM as part of their annual membership. Non APF members can subscribe to the ASM online. Many technical articles are published in the interests of safety and education, and past issues can be downloaded from the ASM Online Archives. Go to the ASM Online Archives for the origins of ASM including the original ASM of the 60s and 70s, followed by 20 years of Rambling On magazine. You can also leave your classifieds on this website free of charge, if you have skydiving equipment or accessories for sale. Past issues can be downloaded from the ASM Online Archives.